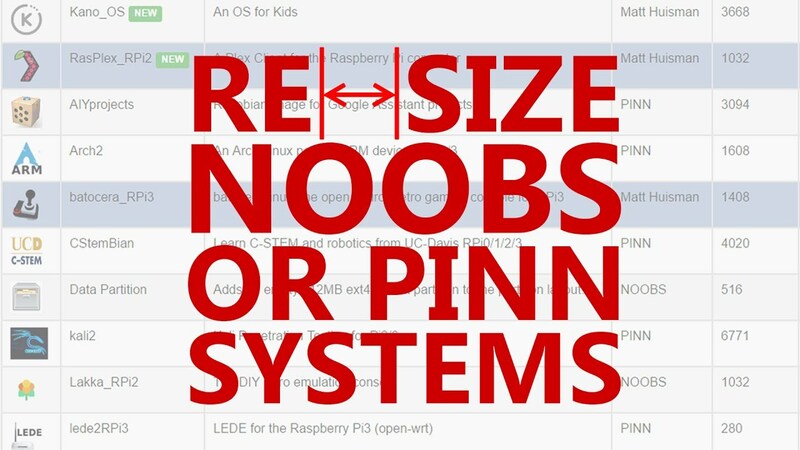 Here is my new web app I have created to allow users to easily set PINN system sizes. NOOBS has now been removed from the app due to incompatibilities. PINN has more features and contains all the NOOBS systems plus more!